Thank you for submitting your item for appraisal. 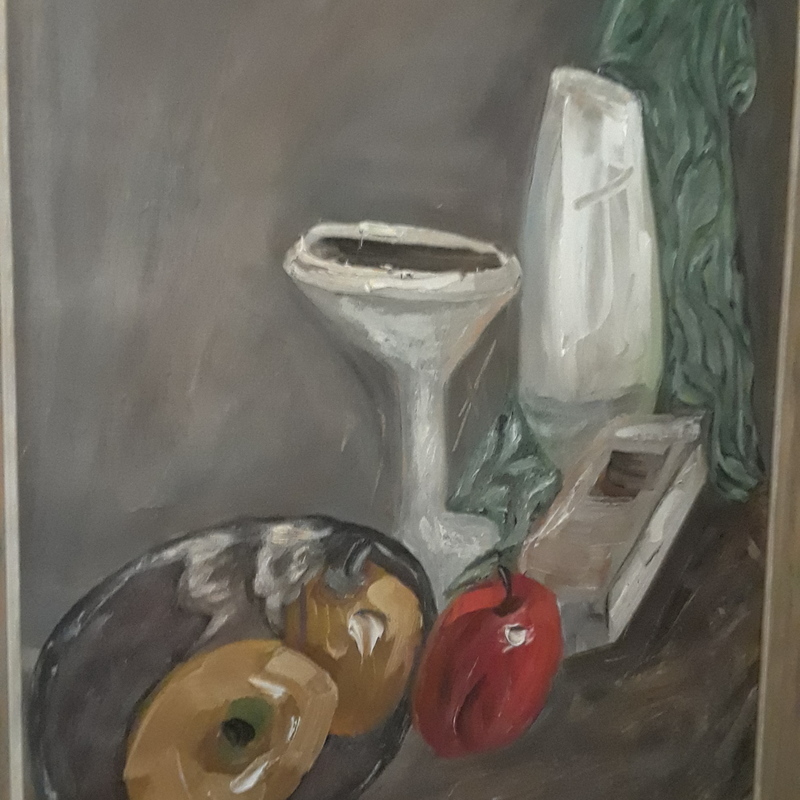 This appears to be a still life painting from 1967, depicting various items placed on a table. The painting is signed lower right by a hungarian artist "Klava, H". and dated 1967. This might have been an art student of this era or someone who tried to paint a very non-political painting. The estimate is based on similar paintings by lesser known artist sold at auction. There is no measurement for the sentimental value you might attacht to the item.